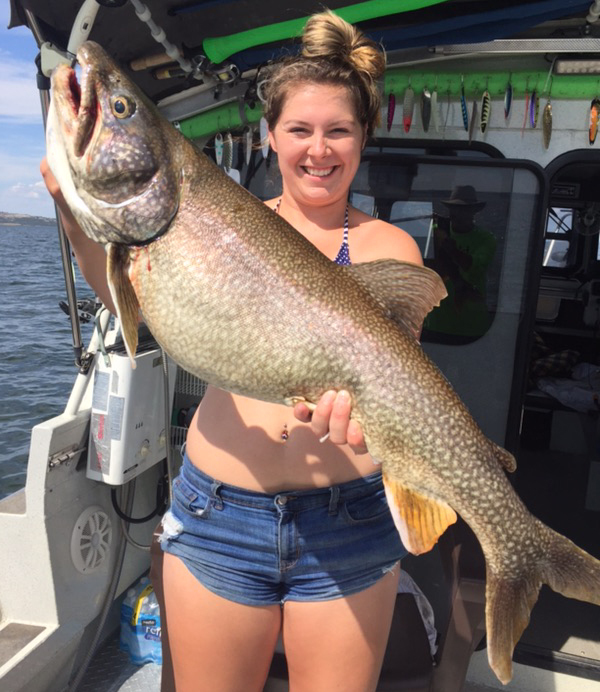 A Multi-Species Fishing Day at Fort Peck! 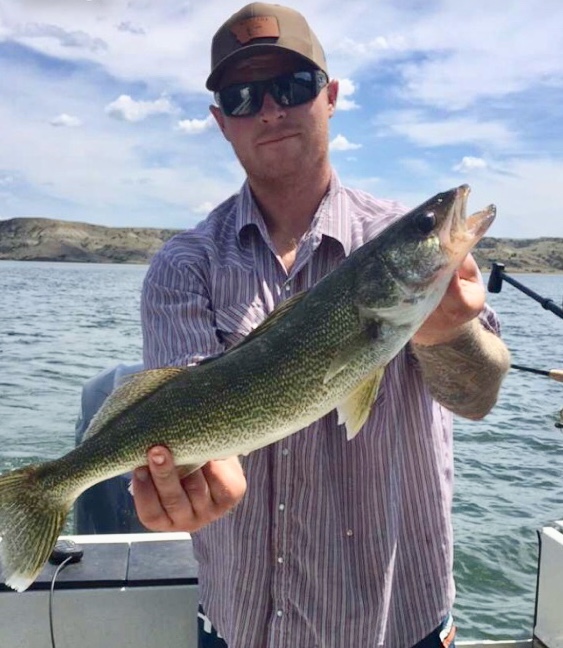 Brody Hafner from Cheyenne, Wyoming took a break from serving in the Air Force to do a little fishing on Fort Peck with his girlfriend, Amber Price. Bill Zahradka, the Salmon Slayer, took them out for a couple of days and it ended up being another multi-species day. 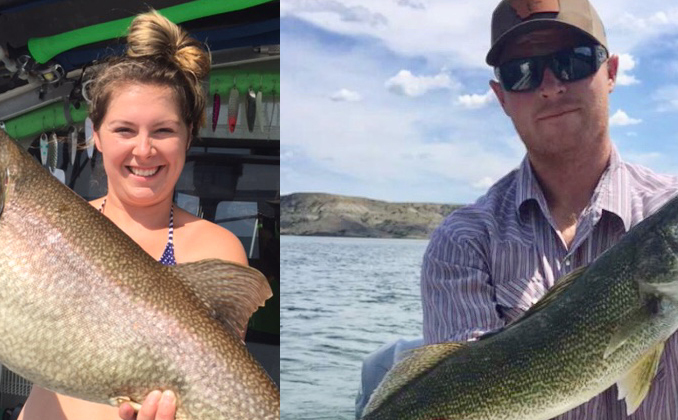 Amber caught a 16 pound laker, and Brody caught a nice walleye among other fish the two boated while fishing with the Slayer. The only species that is missing is a chinook salmon. The salmon fishing has been slow to date, but anglers are hopeful it will be a good year like a couple of years ago on Fort Peck. Stay tuned, and thank you for your service, Brody!